A report by Darke County detectives investigating the Arcanum police chief alleged he texted with a female juvenile using a fictitious Facebook account. The village is conducting an internal investigation before deciding his fate. 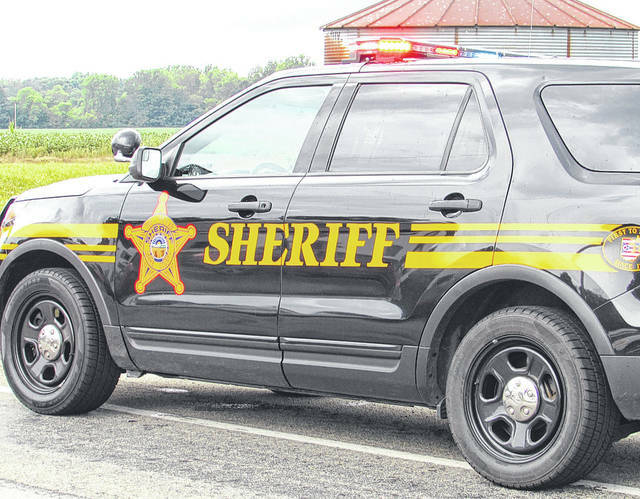 ARCANUM — A report by the Darke County Sheriff’s Office has revealed more details regarding allegations of misconduct made against the Arcanum police chief. According to the report, detectives investigating the allegations recommended to prosecutors that Arcanum Police Chief Andrew Ashbaugh be charged with menacing by stalking. Other charges under consideration were telecommunications harassment and interference with custody. During interviews with detectives, Ashbaugh admitted he created a false Facebook account, under the name “Eric Townsend,” ostensibly to acquire information to combat illegal drug usage at Arcanum High School. However, text messages sent to a juvenile female through the fictitious account, as well as interactions with the girl in question and others, led to the investigation by the Darke County Sheriff’s Office. During the course of the investigation, detectives examined Ashbaugh’s work phone, computer and body camera footage, as well as interviewing several witnesses. Ashbaugh was placed on paid administrative leave March 4. Arcanum Mayor Greg Baumle said the village has contracted Clemans Nelson & Associates, a Dublinlabor relations firm, to conduct an internal investigation before deciding his fate. This entry was tagged Andrew Ashbaugh, Arcanum, Arcanum Police Department, Darke County Prosecutor’s Office, Darke County Sheriff’s Department, Darke County Sheriff’s Office, Detectives, Facebook, investigation, Menacing, report, Stalking. Bookmark the permalink.